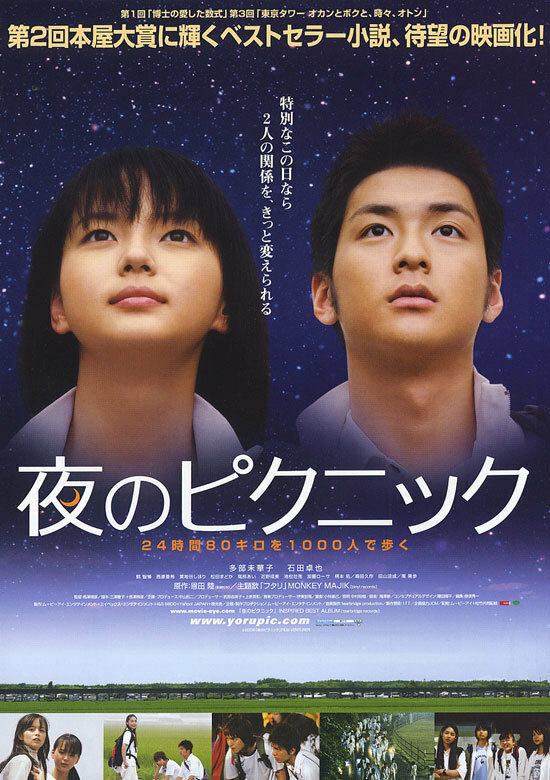 Based on novel "Yoru no Pikunikku" by Riku Onda (published July 30, 2004 by Shinchosha). croozn Dec 13 2011 1:52 am Wonderful film, very sweet. chujniak May 03 2011 2:44 pm Great, entertaining coming-of-age drama with some funny scenes too.